Conduct committee and staff trainings. Hold staff discussion group meetings. Introduce the school rules against bullying. Review and refine the school’s supervisory system. Hold a school kick-off event to launch the program. Post and enforce schoolwide rules against bullying. Hold meetings with students’ parents. Hold meetings with students involved in bullying. Hold meetings with parents of involved students. to support your school’s program. principles of best practice in the community. 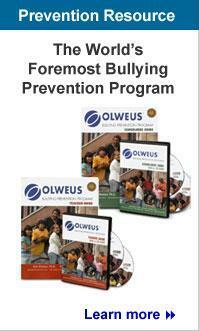 For more information, download the Olweus Bullying Prevention Program Scope and Sequence Report (PDF).